Stage hire in Kent, London and the South East has just got a lot simpler. 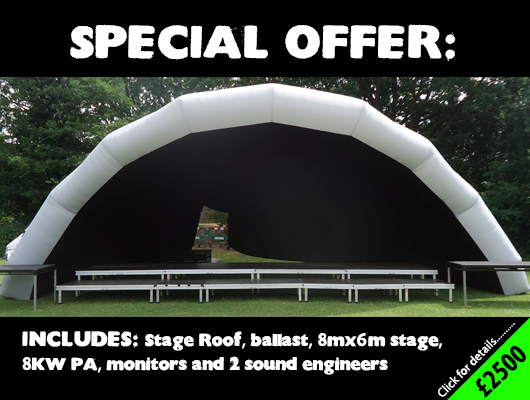 For a limited time we are offering a flat rate for a full turnkey system including a covered stage, sound system and technicians to run it for the discounted rate of £2500 (no VAT payable). Unbelievable eh?! Have a look below for more info of what’s included and drop us a line or email to get booked in. Have a look at our Facebook Page for some of the events we have done in the past.